Muslim and Hindu students are made to sit in different sections and rooms. There are separate classrooms for Dalits, OBCs and upper castes. Patna: A school in Bihar's Vaishali district is said to have been segregating student based on religion and caste that has prompted the government to launch an inquiry. The matter has become clear from the school attendance registers. 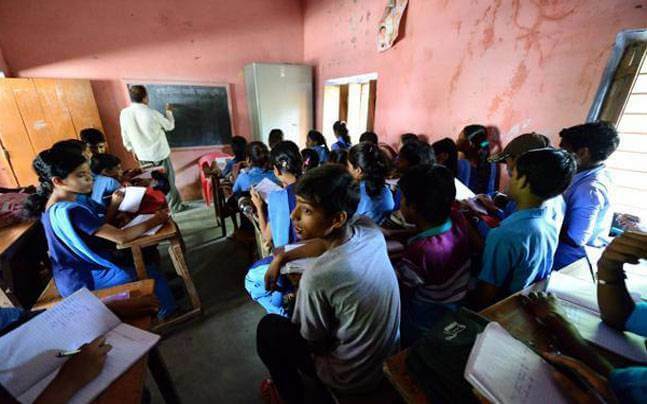 The government-run GA Plus 2 School in Lalganj has been segregating students into different sections and rooms based on their religion and caste, Bihar Education Minister Krishnandan Prasad Verma said, ordering an inquiry into the matter. He said those found guilty would be punished. "It is unfortunate and wrong if such situation exists in any school. It is against the law to divide students on the basis of their religion and caste in any school," Verma said. Lalganj Block Education officer Arvind Kumar Tiwari said he has visited the school after complaints were lodged about the practice. "Prima facie it appears to be true. We are sending a report to the District Education Officer in this matter and action will be initiated," he added. School Principal Meena Kumari, though, said such arrangements of segregation were made to ensure smooth working and implementation of different schemes. "There was no protest against it by parents and students," she said, adding "Till date no discrimination has been made in the school on the basis of caste or religious identity." Muslim and Hindu students are made to sit in different sections and rooms. There are separate classrooms for Dalits, Other Backward Classes and upper castes, Tiwari, who visited the school, said, citing reports. The attendance register for students are also separate as per religion and caste. It is so arranged that Dalits and Muslim students hardly get any chance to visit other classrooms. Outside the school, however, all students cutting across religion and caste lines play together and return home together. The Modi-Shah duo take the Lok Sabha elections in Gujarat as their personal agenda.